Axis Bank reported a 46% fall in net profit in the Q1 to ₹701 crore from ₹1,306 crore on YoY basis. This has been attributed to a rise in provisions and muted other income. DLF Brands is shuttering the India store network of US women’s accessories brand Claire’s amid trouble at the American brand that filed for bankruptcy in May. The Delhi HC has issued notices to Flipkart and Amazon in a PIL filed by Telecom Watchdog, which alleged they had violated FDI norms and circumvented them by routing popular products at much cheaper rates and pushing out small businesses and brick-and-mortar retailers. A total of 22.64% of the shareholders of HDFC Ltd voted against the continuance of chairman Deepak Parekh as director in a shareholders’ meet in Mumbai. Parekh is one of the longest-serving chairmen of HDFC. It is believed that a major foreign fund was not happy with Parekh. IndiGo posted a net profit of ₹28 crore in the Q1, a 97% drop from ₹811.1 crore on YoY basis. This has been its worst quarterly performance since listing and has been attributed to operational stress, higher fuel and maintenance costs, and foreign exchange losses. An arbitration panel has issued an award in favour of Reliance-led consortium in the gas migration dispute case. The panel has rejected the government’s contention that Reliance and its partners unjustly gained by producing gas from ONGC’s fields in the KG basin and must return the gains by paying $1.55 billion to the government. The government has denied Whatsapp to start their payment service until they set up an office and recruit a team in India. The government also seeks RBI’s views on whether payment solutions controlled remotely violate rules on setting up such financial services in India. 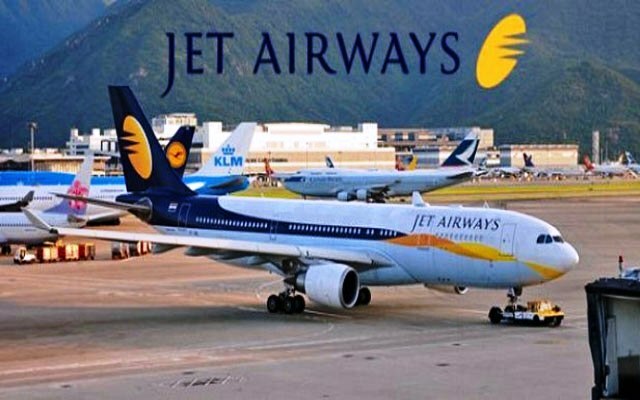 Jet Airways has informed its employees that they will have to take an up to 25% cut in their salaries as the cost of operations for airlines is increasing due to rising crude prices and a falling rupee. The move is expected to reduce annual salary of about ₹3,000 crores by about ₹500 crore. Tata Motors has reported its worst quarterly results in 9 years as it reported a consolidated loss of ₹1,863 crore for Q1. It has been attributed to troubling JLR performance due to an anti-diesel wave in the UK and Europe, vehicle stock correction in China and US’ higher incentives. Reliance Industries topped TCS to become the most valued company on D-Street. RIL’s market valuation stood at ₹7.51 lakh crore at the closing of trade, which is ₹8,192 crore more than TCS. RIL shares surged 3.14% to ₹1,185.8. RBI raised repo-rate by 25 basis points to 6.5%, its second hike this year to fight rising prices and stressed on maintaining macroeconomic stability. However, it kept its stance neutral. The Delhi High Court has directed former Ranbaxy promoters Malvinder and Shivinder Singh to personally appear for its proceedings in Daiichi Sankyo case to enforce a ₹3,500-crore arbitration award against them. The Supreme Court has ordered to seize the assets of the Amrapali Group and freeze the bank accounts of 40 of its companies and their promoters, holding that the real estate developer was dilly-dallying on completing its delayed projects and taking the system for a ride. Jet Airways has informed its employees that the airline will not be able to operate beyond 60 days unless cost-cutting measures, which include pay cuts, are put in place. Apple Inc became the first $1 trillion publicly-listed US company as the company’s stock rose 2.8% to as high as $207.05. Apple had recently reported its strong Q1 performance. The food-delivery firm Swiggy has acquired Mumbai-based on-demand delivery firm Scootsy, under an all-cash deal. The deal is estimated to be valued at about ₹50 crore. The Sensex slipped 356 points to 37,165 points and the Nifty ended down 101 points, at 11,245 points, tracking the weakness in Asian markets after the Trump administration threatened to expand tariffs on $200 billion worth of Chinese imports. Shares of Jet Airways fell the most in three weeks and ended 7% down at ₹308 on fears that the ongoing financial turbulence would further affect its fortunes. US manufacturer Textron is winding down its defence operations in India after being hit by penalties for failing to meet stringent offset guidelines and seeing a bleak revenue stream in the country. It was recently penalised $300,000 by the defence ministry for not meeting offset obligations. The SC has permitted RCom to go through with the sale of its assets to Reliance Jio and allowed the Rcom’s management to give an undertaking that it will pay ₹550 crore to Ericsson by September 30. Markets rallied on Friday after two days of selling as the Sensex surged 391points to settle at 37,556 points while Nifty rose 116 points to close at 11,361 points amidst the weather department forecasting a recovery in the monsoon in August and September.